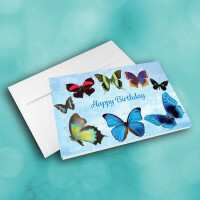 A unique and elegant birthday card, to show someone you're thinking of them on their special day. 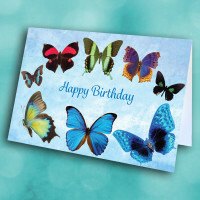 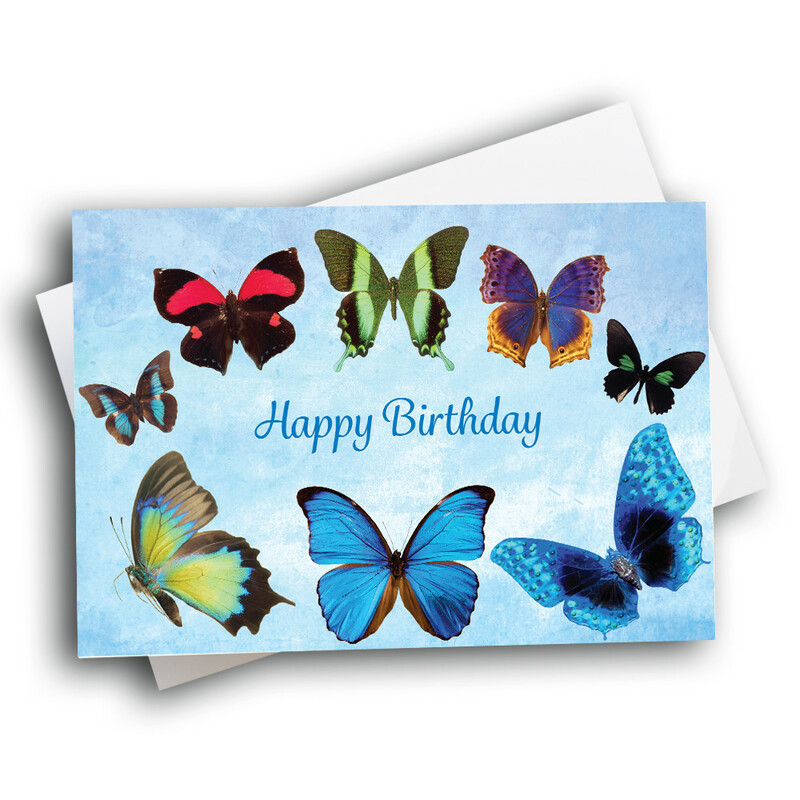 This beautiful card is a wonderful way to deliver your birthday greetings. 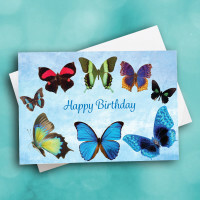 Eight different, brightly colored butterflies lie arranged around an elegantly penned greeting, all set against an icy-blue background. 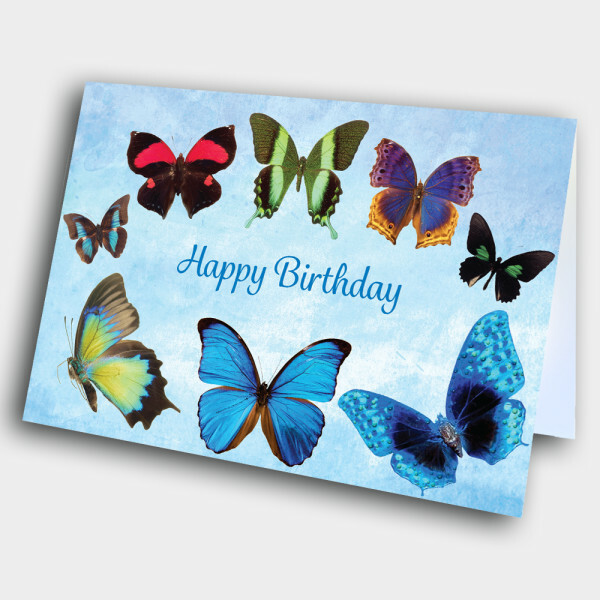 Each butterfly is unique and intricately detailed. 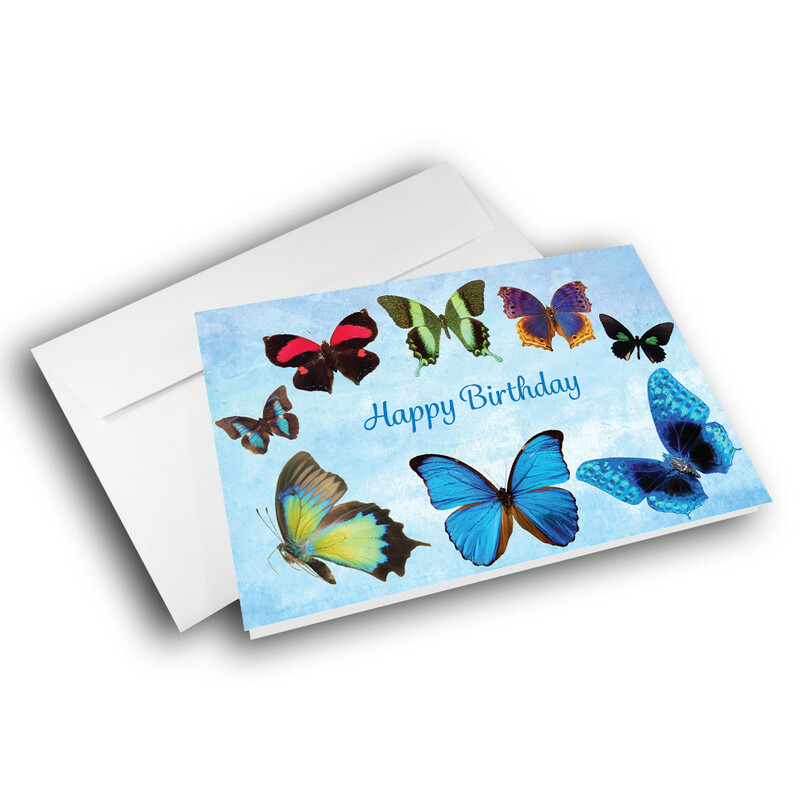 Make this a personalized birthday card by adding your own message inside.